Do you believe Australia is heading towards a credit crunch? View results for: Select poll from the list What do you think should happen to broker remuneration? What areas would you consider diversifying into? What is your main business concern at the moment? Do you believe Australia is heading towards a credit crunch? Do you write SME loans? How would fees for service impact broking? How soon are you expecting to retire? Are the Cert IV and Diploma qualifications adequate preparation for mortgage broking? Will CBA's new accreditation model for new brokers help deliver good consumer outcomes? What is the most important thing aggregators should provide? Do you think the responses to Treasury's consultation on remuneration will positively impact broker commissions? Has refinance appetite changed in the past year? Do you think commercial lending should be regulated? Do you think it will be cheaper to be making P & I repayments than I/O by the end of this year? Has the mortgage broking industry improved in the past 10 years? Have you integrated financial planning into your offering? Do you offer an insurance product to your mortgage clients? Succession planning: how soon are you planning to retire? What sort of business do you write for the non-bank lenders? Will the RBA cut rates again in 2017? What do you think of the FBAA's performance over the last year? What do you think of the MFAA's performance over the past year? What proportion of your loan book is commercial lending/SME finance? Which area of your business is most driven by technology? What was the main reason you left your previous aggregator? Do you have a succession plan? Do you think broker franchises offer franchisees satisfactory commissions? Does the MFAA get the balance right between brokers and lenders? Is offering holidays to customers an effective way for lenders to incentivise home loans? What proportion of your overall loan book is made up of personal loans? What portion of your business goes to mutual lenders? What’s the best thing about being a member of industry associations such as the FBAA and MFAA? Should there be more mandatory education and training for brokers? Which business model have you adopted? Are you educating your clients about recent regulatory changes? Will rate rises on investor loans curb demand? How do you identify yourself? Has your business encountered mortgage fraud in the last five years? Where will the cash rate be at the end of the year? Do you work with peer-to-peer lenders? Do you offer property advice to your clients? What social media platform do you prefer to use for your business? How are you best growing your business into a tangible asset? What is the number one thing you look for in an aggregator? Which is more important to your clients? What impact has the recent rate cut had on your business? Which major bank gets most of your business? Will the Reserve Bank reduce the cash rate again next month? What do you think about online lenders? How do you expect your business to fare in 2015? How would your business be affected if SMSF lending was scrapped? Why don’t you write short-term loans? Do you write SMSF loans? What do you think about the valuations your clients receive? Does your business do commercial lending? Which type of channel conflict most impacts your business? What should be the minimum education requirements to become a broker? How many lenders do you regularly recommend to your clients? How much do your customers value branch networks? How well are the non-majors taking on the big four? Where will the official cash rate be at Christmas? What’s the biggest issue for your under-35 clients? How much stress do you feel in your job? Which lender offers the fairest commission structure? How do you feel about your current software platform? How do you feel about your association? Where should the next MFAA chief executive come from? Which part of the commission structure would you most like to see changed? How will your business look in 12 months? Would you consider offering reverse mortgages? What do you think about lenders offering special rates to 'gold' brokers? Is ASIC prejudiced against the third-party channel? What’s the most important part of a BDM’s role? What would you leave your current aggregator for? Would you use a system which tracks consumers through social media to predict when they will sell? Are lenders right to claw back commissions? Do you outsource any of your processes? Do you write loans through non-bank lenders? Will your clients be able to contact you over the Christmas break? Should lenders do more to help new industry entrants? Do you offer your clients insurance products as part of your presentation? Will lenders raise fixed rates again before the end of the year? Who "owns" the client? Have you experienced discrepancies between lenders' servicing calculators and their credit assessors? Do you expect to see additional lender commission incentives? Are we at the bottom of the rate cycle? Do you pay any of your professional referral partners? Does NCCP continue to have a negative impact on your business? Have fixed rates reached their bottom? Do we need more product innovation from lenders? Do you expect to see an upswing in activity after the election? Should banks provide more business support to brokers? Should entry level brokers be paid a salary? Will commissions increase in the next 12 months? Will the RBA cut rates next week? How satisfied are you with your current professional referral relationships? Will ANZ's extra rate cut set a precedent? Do you have a preferred lender? Should brokers disclose if their aggregator/brokerage is owned by a bank? Where does your aggregator fall short? Should brokers be accredited before providing SMSF services? 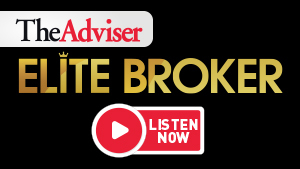 Do you consider yourself an 'adviser'? Do you offer risk products as part of your service offering? Will the major banks pass on rate cuts in full should the RBA drop rates this year? What is the primary device you use with clients? Is channel conflict still an issue? Are you planning on adding a new revenue stream to your business this year? Will the RBA cut rates on March 5th? Are you seeing more demand for fixed rate products? Will we see home loan rates fall below 4% this year? Have the industry associations lost their relevance? Have you switched licencing options? How frequently do you sell your aggregator's white label product? Do you write loans with credit unions? Will the majors cut rates independently of the RBA this year? Is CBA's Aussie acquisition positive for the broking industry? Will online channels erode broker market share? Where will business be most active in 2013? Will you have a business plan ready for 2013? Will we see a December rate cut? Will the transition to Mortgage Adviser be a positive for the industry? Will the majors' market share drop in 2013? What is most important in a lender? How low will the cash rate go this cycle? Will the broking industry see further consolidation in 2013? Have you stopped writing low-doc loans because of NCCP? Do you pay kick-backs to your referral partners? Is the lack of first year trail putting off new recruits to the industry? Will other lenders follow Macquarie and raise commissions? Is there enough margin in lending to increase commissions? Is it ethical for brokers to accept a fee from developers? Will the RBA cut rates next week? How often do you invest money in marketing your business? Should new brokers be given 12 months to complete their diploma? Are you writing more business with non-major banks compared to last year? Do you expect to see a rise in investor business over the coming period? When will we see the return of 100% LVR loans? Has licensing rid the industry of unprofessionalism? Will comprehensive credit reporting negatively impact the broker proposition? Do you plan on adding a new revenue stream to your business this financial year? What impact has NCCP had on your business to date? What level of business support do you receive from your aggregator? Do you own a tablet (iPad or android)? How often do you write SMSF loans? Will the RBA cut rates again next week? Have you seen an upswing in demand for fixed rate products? Is this financial year on course to be better than 2010/11? Where will the cash rate be by end of 2012? Are boutique aggregators a viable alternative to the majors? What is your number one source of leads: Do you have a succession plan/exit strategy in place? Does the quality of BDM support influence which lender you plmijo your business with? Who do you recommend non-bank products to? Does the future of broking lie in fee for service? Will the future of broking be fee for advice? Is June 30th too early to complete the MFAA diploma requirements? Do you use social media to market your business? How many products do you cross-sell? Have you sold your aggregators home brand product? Will the out of cycle rate hikes lead to an increase in refinancing? Do you generate leads via your online presence? What will the RBA do with the cash rate next week? What would you switch aggregator for? Is the cash rate still the right benchmark for mortgage rates? The most active borrower segment this year will be: Would you like to see more foreign banks lending in Australia? Should MFAA membership be compulsory for brokers? Do you expect to write more business with non-major banks in 2012? Have you added a new revenue stream to your business this year? Will the RBA cut rates again next week? Do you expect your volumes to increase in 2012? Is your 2012 business plan: Would you like to see more lenders distribute via brokers? Have you stopped writing low-doc loans because of NCCP? Will the RBA cut rates on Melbourne Cup day? Have you written an SMSF loan? How many support staff does your broking business have? Where is business currently most active: Has the increased competition between lenders resulted in greater channel conflict? Is current lender competition boosting loan volumes? Do you keep a referral register? Do you expect to see an upswing in investor business over the coming period? Have you seen an increase in demand for fixed rate products? Should CHOICE be dabbling in mortgage broking? Do you own investment property? Has demand for specialist/non-conforming products over the last year: The next move for the cash rate will be: The most negative impact on business is: Will non-bank products be easier to recommend without exit fees? Should brokers accept a referral fee from developers? Do you hold accreditation with all five major banks? Will the new financial year be: Should a university degree be the minimum qualification for mortgage broking? Do you plan to make the transition from broker to financial planner in the future? Will the broking industry struggle to attract new entrants? Should smaller lenders be excluded from the ban on exit fees? Which type of borrower do the banks most frequently reject: Should the Govt. increase the FHOG to encourage the return of FHB's? Should the Govt. have injected more into RMBS? Do you offer insurance products as part of your service offering? Will consumers be better off as a result of the govt. ban on exit fees? What impact has NCCP had on your business since Jan 1? Do you use social media (eg: FmijobookTwitter) to market your business? Have you seen an increase in business as a result of lender discounts and incentives? Are non-banks a viable alternative to the majors? Will we see the return of 100% LVR's before the end of the year? Have you sold your aggregator's white labelled product? I would switch aggregator for: Has the flood devastation adversely affected your business? First rate rise in 2011: Will Australia win back the Ashes? What is most important in a lender BDM? Have you added a new revenue stream to your business in the last year? What have you registered as? Do you expect your volumes to increase in 2011? Are current turnaround times acceptable? Should exit fees be banned? Does the future of broking lie in fee for service? Has competition improved amongst lenders over the last 12 months? Will banks move rates outside of the RBA this year? Are you writing more business with 2nd tier lenders than 12 months ago? Which licensing option will you choose? Is there a future for low doc loans? Is there still demand for low doc products? Which political party do you think will be better for the broking industry? Have high LVR products truly made a comeback? how many products do you cross sell? Will licensing rid the industry of unprofessionalism? Is it your responsibility to advise clients on their debt structure? In general, how does lending policy compare to 12 months ago? What is the no.1 reason your clients are refinancing? Do you buy leads? Who 'owns' the client? Have Australia's banks profited from the GFC? Do you expect to see an upswing in demand for fixed rate products? How will we fare at the World Cup? What level of support have you received from your aggregator moving into regulation? Have you registered with ASIC yet? Will the next financial year be: Are we approaching the end of this upward rate cycle? Which licensing option will you choose under the new credit regime? As a broker, how often do you invest money in marketing your business? Will licensing encourage you to diversify your product offering? To what degree does the quality of BDM support influence which lender you plmijo your business with? How many hours do you work each week? Could new licensing laws negatively impact on your referral relationships? Do you use social media (eg: Fmijobook/Twitter) to market your business? Has demand for non-conforming products over the last 12 months Are non-banks becoming more competitive? Will the RBA raise interest rates in March? Where is business most active: Do you expect RHG to reenter the mortgage market? Are you concerned about overregulation under the new licensing laws? Does your aggregator's technology platform meet all your requirements? Will you retain membership of an industry body post licensing? Will the gap between the banks' rates narrow before the RBA meets in Feb Business in the year ahead will be: Will business be brisk over the Christmas period? Has competition amongst lenders improved? Does the broking industry fmijo further consolidation next year? Should the RBA up the cash rate in Dec? I recommend non-bank products to: Is your 2010 business plan: In November rates will: Do you cross-sell other products when offering residential mortgages? Was ASIC right to delay broker licencing? Has the RBA raised interest rates too soon? Will the RBA increase rates in October? Is white labelling your own products a viable option for brokers? Do you offer your clients insurance products as part of your presentation? I would switch aggregator for: Will rising rates slow borrowing activity? Will you be ready to register for an Australian Credit Licence on Nov 1? Will all aggregators eventually be acquired by banks? By year end the cash rate will: Are property markets poised for recovery? Are turnaround times: Can brokers now realistically retain accreditation with all major lenders? Will imposing minimum volume quotas cost banks business? Have borrowers missed the boat for fixed rates? Has our economy turned the corner? Currently what is the main threat to business? Have reduced max LVRs impacted your volumes? Is the federal budget good news for the economy Should the upped FHOG be: Will you recommend fixed rate loans this month? Will the RBA cut rates in May? Has business so far this year been better than expected? Will the MFAA's proposed aggregator forum help improve bank servicing? Have slow turnarounds cost some lenders your business? Do DEFs put you off recommending non-bank products? Will current low rates create a future housing bubble? Have you seen an upswing in investor business? Is the federal government's handling of the crisis so far In 12 months will the cash rate: Has the property market bottomed-out? Should the banks pass on future rate cuts in full? Is the 100bp Feb rate cut enough to boost borrowing activity? Will second tier banks win more broker business in '09? At this stage should the FHOG boost be extended beyond June? By 2010 the maximum available LVR will be: Should the RBA cut the cash rate in Feb? Will your business plan be ready for the new year? Is now a good time for borrowers to lock in a fixed-rate loan? Do you expect your volumes to increase in 2009? Are you more open to offering non-bank products than you were 12 months ago? Does the future success of the broking industry lie in providing advice? Are we now past the worst of the financial crisis? Will a bank drop the broker channel within the next 12 months? Can Australian lenders remain shielded from a worsening global financial crisis? Which market segment will September's rate cut boost most? What would be a responsible reaction to interest rates from the RBA in September? How much of an RBA rate cut will borrowers see from their lender? Which residential lending sector do you expect most of your business to come from over the coming six months? Where does your aggregator fall short? Do you expect your business to grow during this financial year? Will commission restructuring lead to a fee-based mortgage broking industry in Australia? Will we see a broker swing to non-bank lenders as a result of bank commission cuts? Will changes to broker commission structures lead to consolidation in the aggregation industry? Does the future of mortgage broking lie in cross selling? Do you expect a drop in broker numbers as a result of commission cuts? Will other lenders follow Westpac's lead and cut broker commissions: Does the non-bank sector need to resurrect the Mortgage Lenders Council - an industry body that advocates its interests? Has the current funding climate prompted you to consider diversifying your products/ services? When will variable rates top ten per cent? The implications for securitisation following Macquarie Bank's exit from mortgages is: Will the National Rental Affordability Scheme effectively tackle housing affordability? Will we see wide-scale reductions to broker commissions: Will the cost of funding in 2008: Do you expect more refinancing business as a result of the February RBA rate rise? In 2008 I would expect my business: How has recent media negativity towards non-banks impacted your business? What impact will a November rate rise have on your business?